What Type of Garden Soil Is Best for Container Gardening? 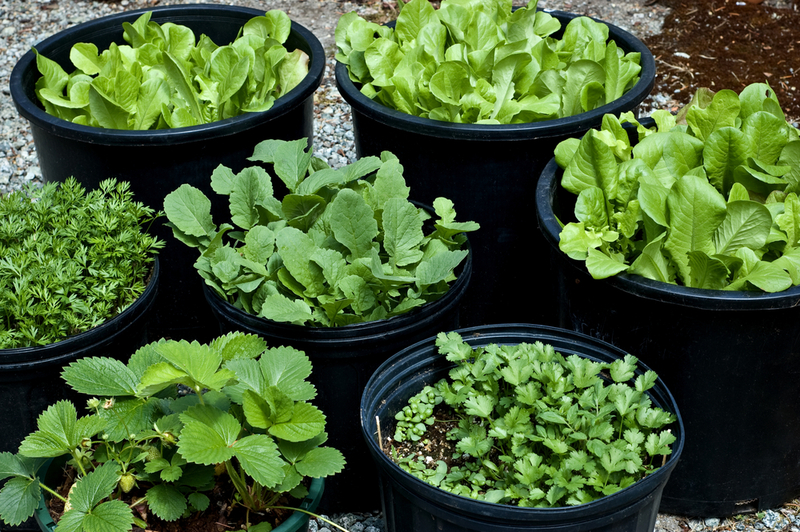 You can master container gardening easily, as long as you choose the right garden soil. The soil from your own backyard is far from ideal for garden planters. The restricted environment means the growing medium must provide adequate air circulation and proper drainage. Here in Utah, our poor native soil is more likely to do the opposite. Plus, it may contain weed spores and pests, which can further inhibit growth. If you want to flex your green thumb to the fullest, experts recommend using a quality garden soil. Here are some tips on choosing a potting mix that will help you achieve container gardening success. The right soil for container gardening is one that can anchor plants firmly in place, while also giving them the nutrition, moisture and air that they need to thrive. An organic, compost-based potting mix is a smart choice, as these products are specifically formulated to encourage healthy, robust growth. When shopping for soil, look for a potting mix that has a uniform consistency and contains plant-friendly ingredients like perlite, black peat and well-aged compost. The beneficial microbes within this type of blend can help get your garden planters off to a great start. For the best chance at container gardening success, experts say to skip any potting mixes with added fertilizers and chemicals – go with an organic product instead. And, make sure you avoid heavy soils. Instead, choose a lightweight growing medium designed for use in garden planters. You should also steer clear of deeply discounted products. Bargain-priced soil may seem like a good value, but cheap potting mixes often contain a large percentage of sand and/or dirt — and they’re usually lacking in both nutrition and composition. So, saving a few bucks may end up costing you the health and beauty of your container garden plants. If you’re new to the world of container gardening and want to quickly go from greenhorn to guru, your choice of soil can make all the difference. To hunt down the best potting mix for garden planters, you could head from store to store, reading bags and comparing products. Or, simply turn to The Dirt Bag. The Dirt Bag is not only a leading northern Utah landscape material supplier – we’ve also created an organic potting mix that’s perfect for container gardening. Called Garden Soil Plus, the blend is designed to absorb and retain moisture, while allowing for proper drainage and air flow. Really, it’s the optimal choice for garden planters. For more information on our bagged and bulk landscape materials – or to schedule to-your-door delivery of our Garden Soil Plus – contact The Dirt Bag in West Jordan, Utah, today.